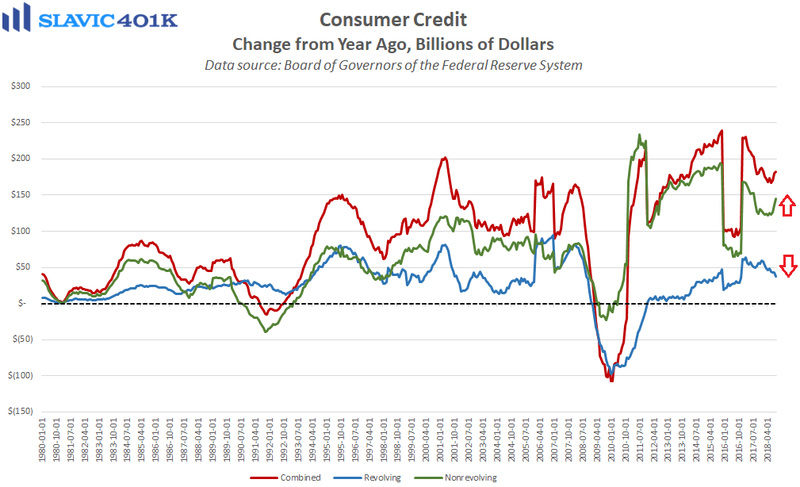 The latest update on Americans’ debt and credit developments from the Federal Reserve Bank of New York (FRBNY) showed that total U.S. household indebtedness was $13.51 trillion at the end of the third quarter of 2018. That was a $219 billion (1.6 percent) increase from Q2 2018 and the 17th quarterly gain in a row. Although the “Great Recession” officially ended in 2009, most Americans have stopped deleveraging only during the past few years. Still, the recent rebound has been considerable because overall household indebtedness is now $837 billion (6.5 percent) above the 2008 peak. 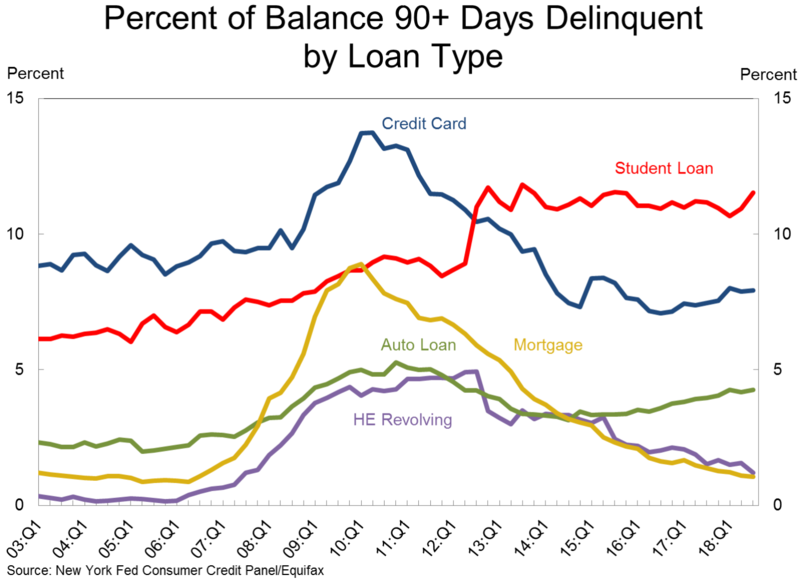 Rising mortgage, automobile, and student loan debt have all been big drivers of this uptrend, but encouragingly only 4.7 percent of the total debt outstanding was in some stage of delinquency at the end of September. 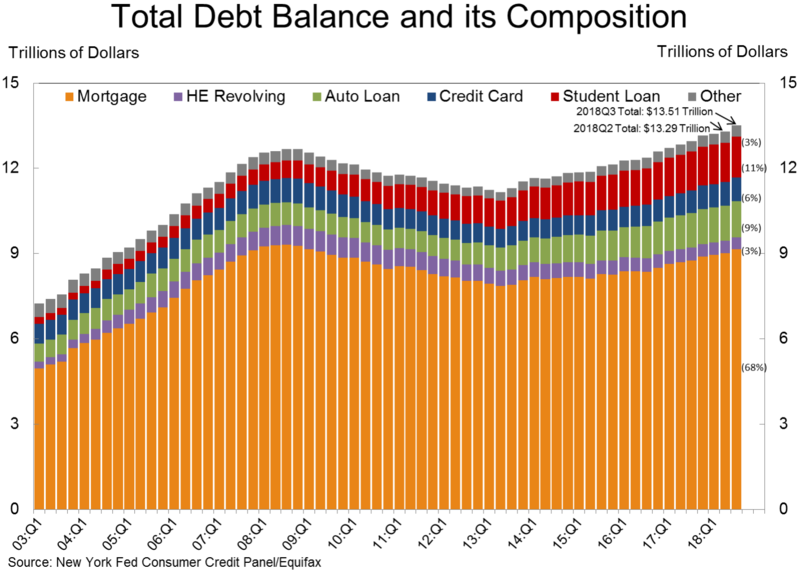 That is well below the level seen during the last recession and therefore suggests that even though total household debt in America has surpassed the 2008 high, the quality of debt has vastly improved. 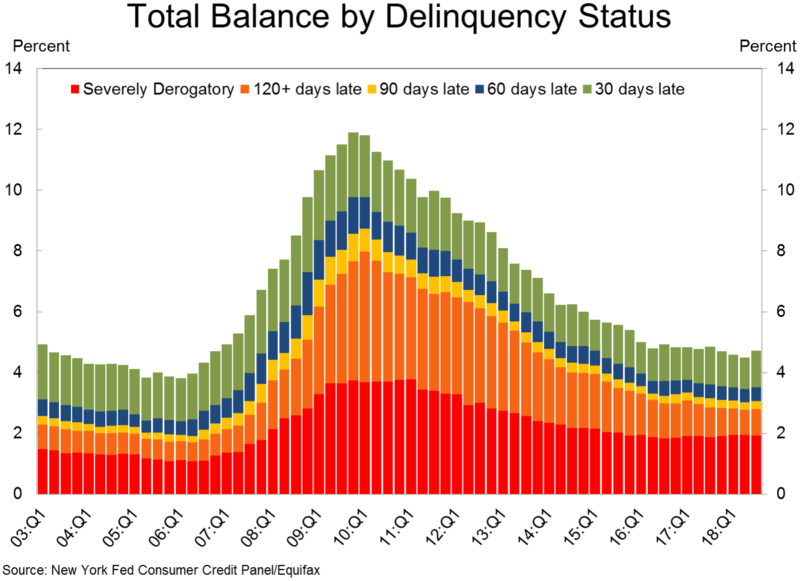 However, Q3 still saw the largest 3-month gain in the delinquency rate in seven years, and roughly two-thirds of the derogatory debt was seriously delinquent (at least 90 days late). 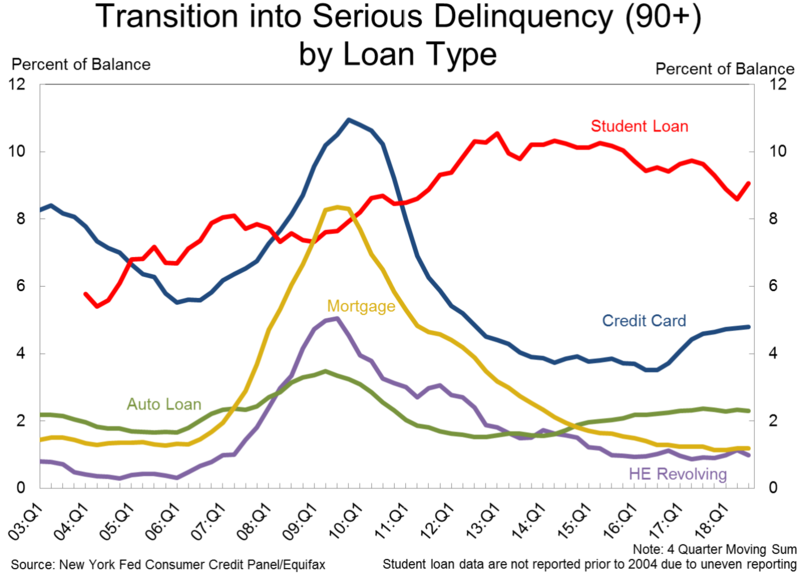 The sharp increase was primarily due to a spike in student loan delinquencies, while credit card and auto loan flows into delinquency status have already been rising for quite some time, albeit at much slower rates. There was also a slight uptick (compared to Q3 2017) in the number of consumers that had a bankruptcy notation added to their credit reports last quarter, but overall new bankruptcy notations remain near the low-end of the historic range. Altogether, current delinquency levels are well below what was seen during previous recessions but paying down debt still appears to have become more challenging for some Americans in 2018. This agrees with the recent slowdown in revolving credit (credit card) growth and accompanying decline in personal saving. Assuming the labor market continues to tighten, the resulting pickup in wage growth could help such consumers pay debt off at a faster rate, and in turn have more disposable income to put to work in a tax-advantaged retirement account. 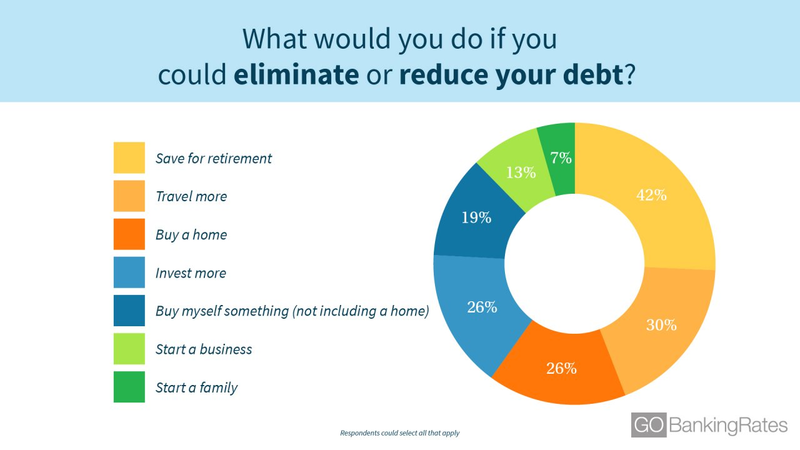 Moreover, a 44 percent plurality of Americans surveyed this month by GOBankingRates cited “not making enough money” as one of the main reasons they are currently struggling with debt, and 42 percent said they would boost their retirement savings if they could reduce their financial liabilities. Even for those who may not be able to immediately increase their 401(k) contributions, eliminating debt would still put them on a significantly stronger financial footing in old age. 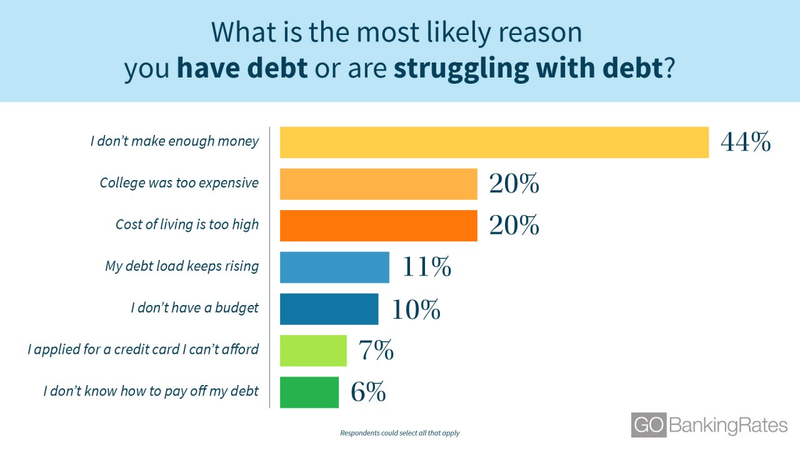 Indeed, borrowers likely anticipate that they will be able to pay off all of their financial obligations in a reasonable timeframe but as we learned in an earlier report from the Financial Industry Regulatory Authority, not even a quarter (23 percent) of surveyed retirees said that they are currently debt free. Perhaps an even better deterrent against excessive borrowing is a study by the Federal Reserve Bank of Atlanta, which found that worsening creditworthiness and increases in severely delinquent debt lead to increases in individual mortality risk.